In recent years, marble has become a popular kitchen work surface, but its efficacy continues to cause debate and confusion. 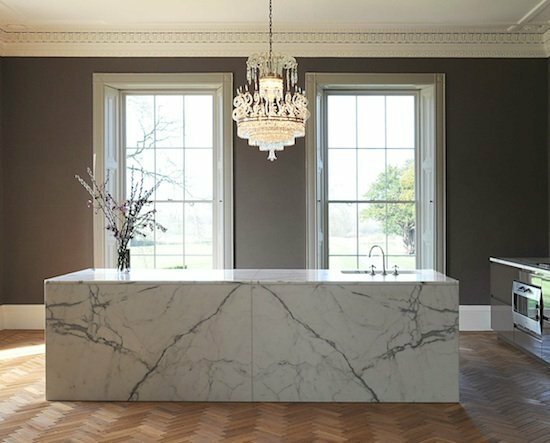 A recent blog post about our general views on which kitchen worktop stones perform best touched on the pros and cons of each material, but we feel that special attention should now be given to marble due it its increasing popularity but remaining mystique. Without going too far down the geology path, it is essentially a crystaline form of limestone. The whiter it is, the purer the limestone from which it was formed. It’s whiteness, combined with its relative softness, makes it the perfect material to carve with. It’s worth noting that not all marbles are white. In our experience designing bespoke kitchens, clients choose marble for three key positive reasons; great cooking performance, great looks and great feel. Despite the positives, it’s not all plain sailing, and like every kitchen worktop material, there are pros and cons to using it. 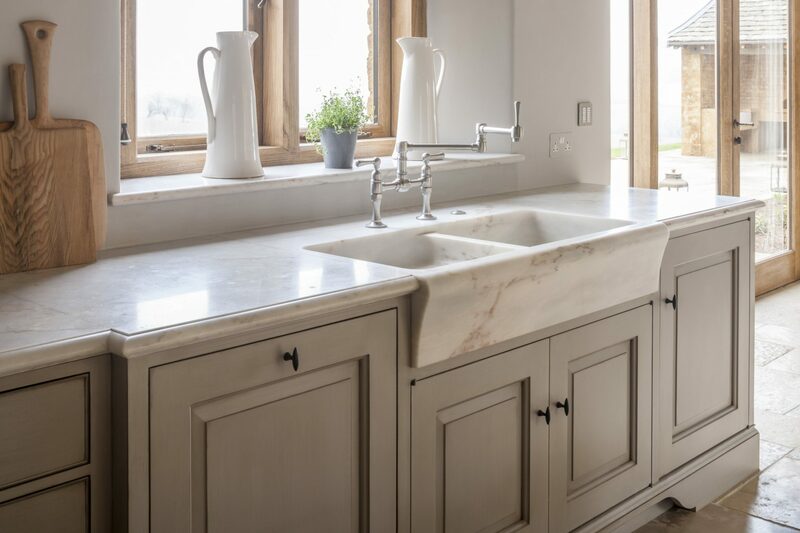 A solid marble sink designed by Artichoke in a country house project in Gloucestershire. Marble is widely accessible and comes at many different price points to suit most budgets. Marble and stone price is sensitive to global markets and can fluctuate heavily depending on demand. Statuary marble, Thassos and Calacatta Oro are particularly beautiful examples that are currently highly prized and thus command high prices. Carrara marble is much more common and commands lower prices. Pizza Express use Carrara marble for their tables which as you can imagine undergo significant strain and wear. Because it is formed from limestone, itself a porous rock, marble too is porous; more so in fact than granite. 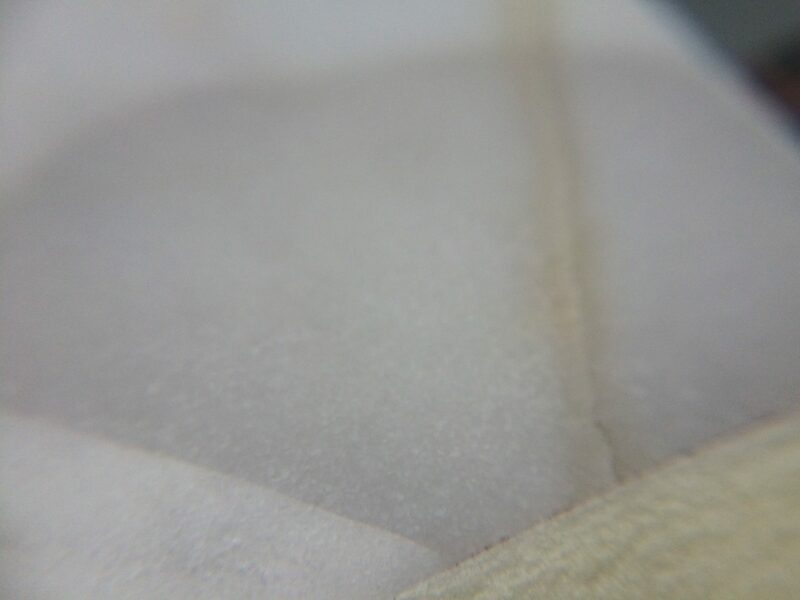 This porosity makes it a poor conductor of heat, giving it one of its major and unique strengths; its ability to keep cool. This makes marble superb for working pastry, and for Artichoke clients who commission us to make kitchens that perform as well as they look, marble is a serious consideration. Typically, a marble work surface will be 4 degrees cooler than the ambient temperature of the room. Marble is generally considered the most beautiful of the accessible stones used for kitchen work-surfaces. There is an elegance and understated beauty in marble that the brashness of granite cannot compete with. It can be striking without appearing vulgar, which as anyone interested in fashion will know, is a trick that’s hard to pull off. Over time, it will also create its own unique patina which many (including us) see as a pro. Due to it’s poor heat conduction, marble is cool to the touch. There will be a subconscious reaction to this in the main, but it is an important attribute, particularly during Summer months. It also has a softness to the touch which is hard to explain. Some of the most striking marbles can also be extremely expensive. Thassos, which comes from the island of Thassos in Greece, is pure brilliant white with no blemishes and with a stunning translucency that makes it look like cast sugar. Calacatta Oro is another highly prized example with a milky white background and gold veining. Open pores in marble make it prone to staining. There is no product available that will stop this, but there are products such as Lithofin, that will render the surface oil and water resistant while slowing down the rate at which liquids like red wine can seep into the surfaces. Acidic liquids will attack the surface of marble and they must be wiped off the surface immediately. The images below show what can happen to Calacatta Oro if red wine and chilli sauce are left on untreated marble for 15 minutes. It is worth noting that marble is also known for working out some stains, which pass through the pores in capillary action. 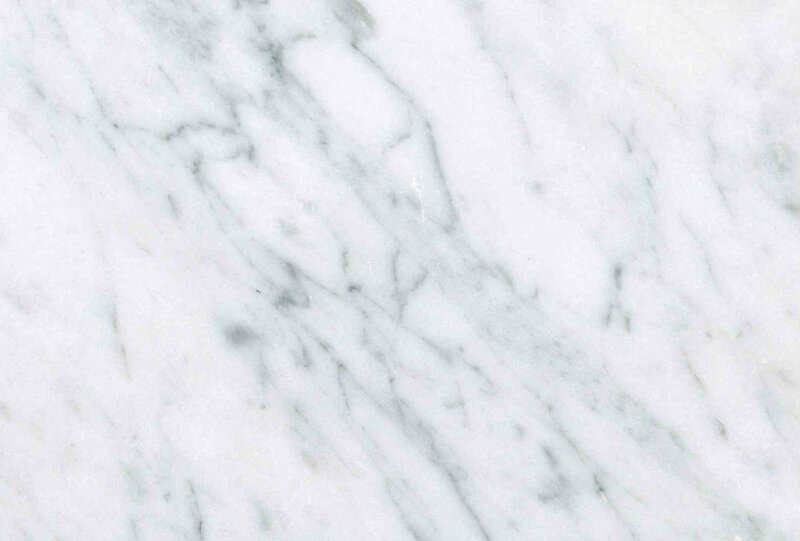 Marble is softer than granite and it will scratch and wear. This is also part of its charm.  The surface will wear particularly in areas that are stood at for longer, such as at the sink. The edge may become duller and you may find that belt buckles or jean rivets will rub against the surface causing further scratches. If you want your kitchen stone to look pin new in 5 years, maybe you should consider an alternative. Many clients are willing to oversee this fault because of it’s beauty. A book matched statuary marble island in an Artichoke kitchen in Somerset. All marble kitchens surfaces which Artichoke install are pre-sealed when fitted, usually with Lithofin. There is no product, to our knowledge, that seals marble completely and as discussed earlier, spillages should be wiped up immediately. Cleaning for most marble surfaces is best done using warm soapy water and a soft cloth. A particularly grimy surface may need no more than rigorous cleaning to remove residue. Avoid using abrasive sponges. In order to bring the polish back to its original quality, washing should be followed by buffing dry in order to avoid water marks. Cleaning kits for marble are ordinarily not necessary for granite surfaces but are available if required for marble, slate or limestone. Lithofin also provide products which help clean and polish marble and they can be purchased from https://www.extensive.co.uk/. If you choose to clean your marble surface with products like Fairy Liquid, try and choose one that is alkaline as possible. Lemon scented detergent soaps tend to be more acidic and are likely to attack the surface or marble. Ecover offer some good alkaline detergents. 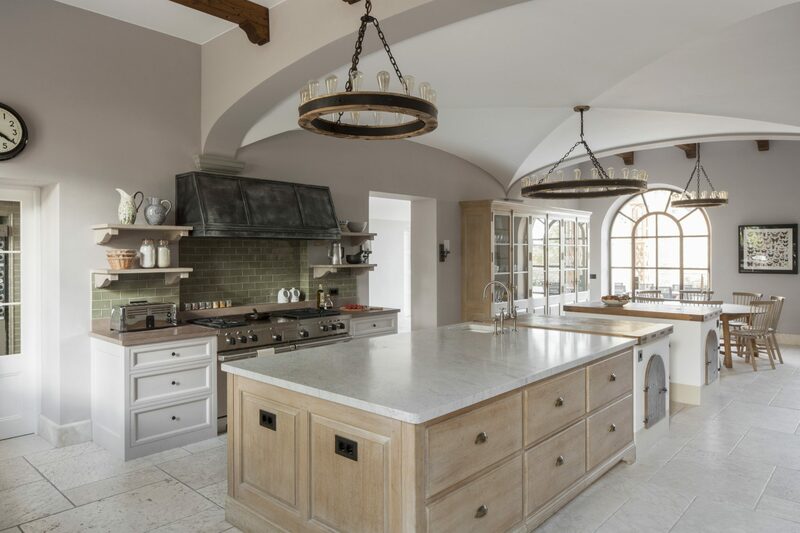 If you have concerns and would like to discuss your stone choice with us, contact newprojects@artichoke.co.uk or call Andrew or Ben on +44 (0)1934 745270.